From serious food allergies to fad diets and fussy eaters – it’s our job to cater for everyone. And sometimes that can be quite a challenge! Gluten free catering is probably one of the most requested special dietary requirements – and that’s something we take in our stride every day – whether catering for a sandwich lunch, afternoon tea or wedding feast. And talking of special events, our hugely popular table feast sharing platters lend themselves beautifully to catering for all manner of dietary requirements. 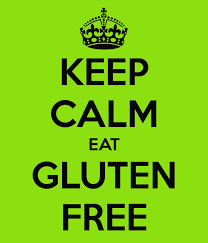 Often 90% gluten free to start with, a few tweaks enable us to discretely adapt them to suit a wide range of tastes. Writing in The Times earlier this month journalist Matt Ridley called for an end to ‘pandering to risky food fads’ saying that beneath the obsession for gluten free and dairy free diets lay a growing harm to health caused by excessive hygiene. He said that where nutrition was concerned the line between medical disorder and dietary preference had blurred, adding that there were genuine medical issues relating to food, but they were hidden under a heap of fads. And boy, did his views provoke readers! SENSITIVE, INTOLERANT, ALLERGIC OR SIMPLY AVOIDING? GLUTEN FREE? WE TAKE IT SERIOUSLY – DO YOU? As caterers, I suppose our message is this: please advise us well in advance if you have special dietary requirements and rest assured we will do our very best to cater to your needs. But please think twice before declaring yourself gluten free, letting us go to the trouble of creating dishes especially for you and then decide to go for the gluten-rich option after all (believe us, this happens…). We know our food is too tempting for words but it never ceases to amaze us when ‘vegans’ revert to meat eaters and ‘dairy free’ guests tuck into rich cream desserts! Long-established and highly recommended, Expresso is an independent Norfolk caterer, passionate about good food and great service.